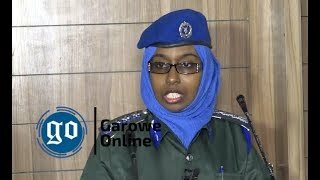 GAROWE ONLINE - ANALYSIS| Boatloads of Al Shabab fighters arrived in the Indian Ocean town of Garacad on Monday afternoon,marking a serious terror escalation in a more stable region in northeastern Somalia. Puntland government has not so far taken concrete steps to address the fresh concerns gripping coastal communities, except for threats made by Security Minister on Tuesday. Al Shabaab militants are merely fugitives, and are trying to take refuge in rough hideouts surrounding Golis Mountain Ranges, where Puntland has battled Al Shabaab in sporadic clashes since mid-2010. Now, Puntland has a reason to remain alarmed in face of terror seeking to put progress secured in various fronts for over a decade in jeopardy. UN-backed Somali National Army (SNA) and peacekeepers serving with the African Union Mission in Somalia (AMISOM) have both seemingly proved quite successful in recapturing large chunk of territories spanning across central and southern Somalia. However, the war is far from over in light of broad daylight attacks in volatile Mogadishu. It is easy for Mogadishus-based Federal Government to secure more ground, but neutralizing sleeping cells as well as dismantling deeply embedded terror infrastructures are all far daunting tasks in liberated areas. In Puntland, almost every analyst points to massive intelligence failures besetting the administration of President Abdiweli Mohamed Ali. Ali was sworn into office in early 2014, ever since, his government has been grappling with an array of challenges—with threats posed by Al Shabaab looming larger than expected. In October, 2015, radical preacher and notorious ideologue Abdulkadir Mumin--who has served in Al Shabaab brass for years--defected with a group of confidants, and pledged allegiance to the Islamic State of Iraq and the Levant (ISIL). The news has not come as a surprise as bitter dissension has been continuing to split Al Shabaab terror group into two factions since July, 2015. 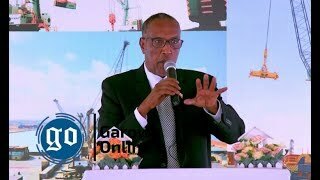 Puntland Security Minister, Abdi Hirsi Ali (Qarjab) was quick in saying, ‘clandestine networks’ have sponsored Al Shabaab activities. Who are these networks? Of course, today on March 15, he has pointed accusing fingers at Somalia’s Federal Government (SFG) for bankrolling Al Shabaab against Puntland, due to the latter’s objection to a new electoral proposal that may hand President Hassan Sheikh Mohamud another term in office over the next four years by year end. 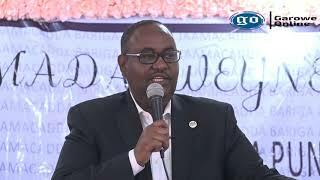 Well-placed sources within Puntland Government tell Garowe Online that a private discussion brought together top Damul Jadiid [ the New Blood that President Hassan Sheikh Mohamudbelongs to ]official, Farah Sheikh Abdulkadir, presidential aides and Galmudug President, Abdikarin Hussein Gulled. Qarjab meanwhile believes that Al Shabaab is facing funding slash by Al Qaeda, prompting vulnerability to severe cash crunch and loss of recruitment sources owing to leadership wrangle following the death of Ahmed Godane. Pro-ISIL faction and Al Shabaab fighters tracking—the former deserters—clashed in Timirsheon Dec. 24. This small village is roughly about 150km south of Bossaso port city, the state’s most populous city where militants killed high-raking officials including Bari regional police commander in the summer of 2014. Mounting Al Shabaab pressure forced Mumin to make a plea for arms consignment to be transferred through smugglers from Daesh militants in lawless Yemen, a country sharing key maritime border with Puntland. Mumin is based in Hul Anod, a former pirate enclave and a high point overlooking the Indian Ocean. 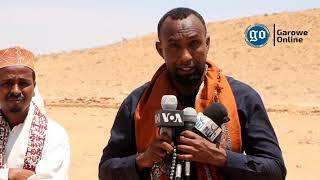 On Tuesday, Al Shabaab preacher delivered sermons in the village of Garmaal which lies 80km away from historic Eyl coastal town. He told villagers—mainly fishermen—that they are peaceful force seeking to utter in religious duty. The Al Shabaab gunmen estimated to be 170 sometime mingled with locals, and may be heading towards Hul Anod, the permanent base of IS sympathizers. Puntland had already downplayed how much terror the militants can perpetrate. The State needs to overhaul priorities and redefine who’s fighting whom? 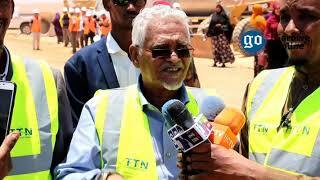 Now that Puntland should stop the advance of Al Shabaab and ISIL.